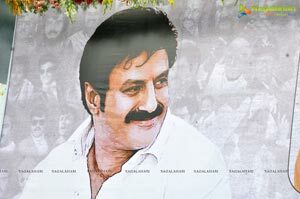 Nandamuri Balakrishna’s 98th film was launched on Monday, 10th June, 2013 on the eve of his birthday. 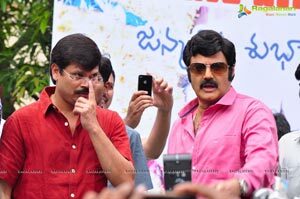 This is the second film in the superhit combination of Balakrishna-Boyapati Sreenu after the blockbuster ‘Simha’. 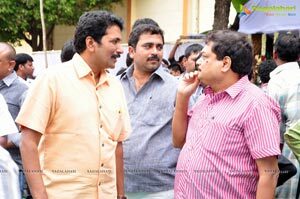 14 Reels Entertainment banner is producing this new film which was launched on Monday at Ramakrishna Cine Studios. 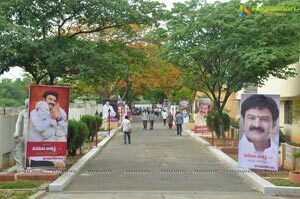 Sai Korrapati (Eega producer) will present this film on Varahi Chalana Chitra banner. 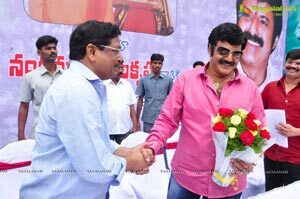 Director B Gopal switched on the camera for the muhurat shot on Balakrishna which was directed by Boyapati Seenu. 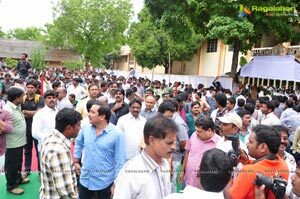 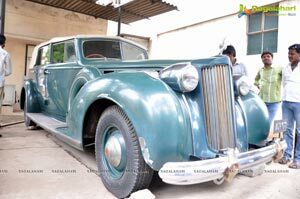 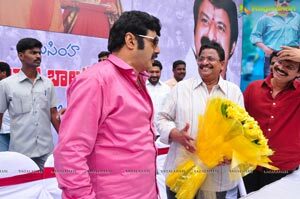 The grand event took place amidst hundreds of Nandamuri fans who thronged to participate in it marking Balakrishna’s birthday. 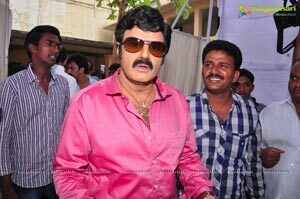 Balakrishna cut a large cake and celebrated his birthday on the sets. 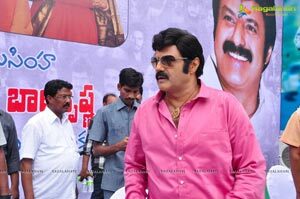 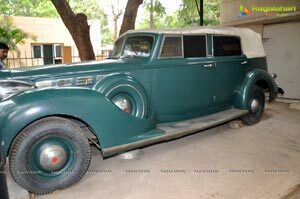 Soon after that his brother Ramakrishna launched the website nandamuri.com. 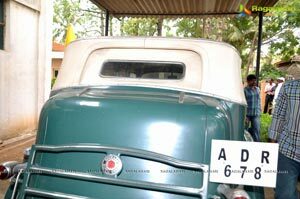 According to B Gopal, this film will become a bigger hit than ‘Simha’ as passionate producers are making it. 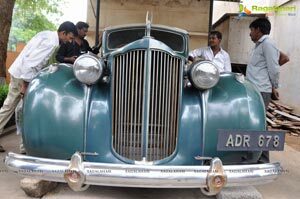 He claims that the film would get fans in festive mood. 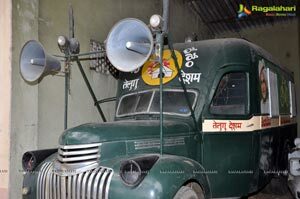 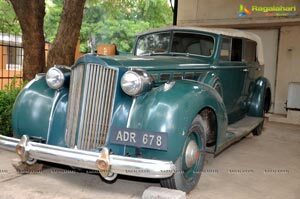 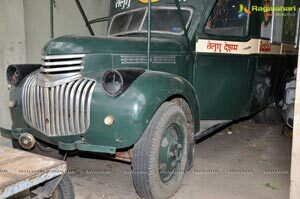 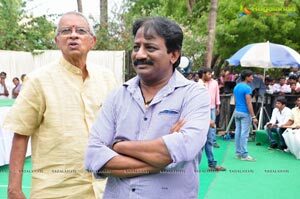 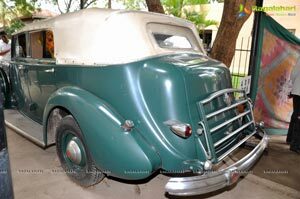 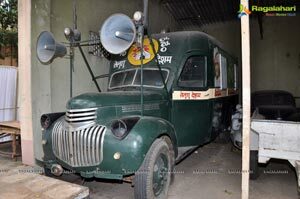 Devisri Prasad is composing the music and C Ram Prasad handles the camera. 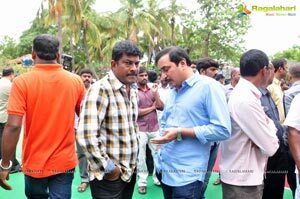 Ram Achanta, Gopichand Achanta and Anil Sunkara are the producers.